The state of Washington’s No. 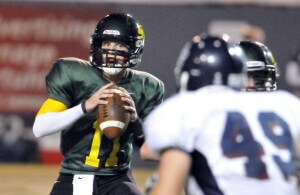 1 ranked QB for the class of 2015, Spokane (Wash.) Shadle Park’s Brett Rypien, picked up his fifth FBS offer this weekend, when the Mississippi State Bulldogs offered the junior-to-be a scholarship. In 2012 Rypien helped lead Shadle Park to the state playoffs while completing 63% of his passes for 3,574 yards, throwing 29 TDs against just 10 INTs. Rypien admits he hasn’t followed the Bulldogs too closely, but plans to keep an eye on them now that they’ve offered. “I want to get to know the program better and I’m definitely going to follow their season this year,” he says. Brett did acknowledge that he knew MSU head coach Dan Mullen was the offensive coordinator at Florida when Tim Tebow was the QB of the Gators. The Mississippi State offer comes on the heels of ESPN naming Rypien as one of their top 300 recruits nationally for the class of 2015 – number 114 overall. Now Rypien’s focus turns to Shadle Park’s season, and the chase of GSL crown. 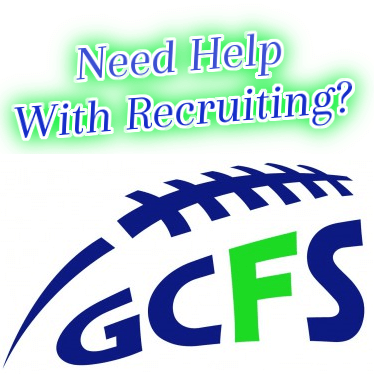 Rypien also holds offers from Boise State, Idaho, Colorado State and Washington State.